In the seat of the Polish Bishops’ Conference held on March 15, a presentation of the book entitled “Dialogue heals wounds. About God, the Church and the World”, which is an interview book with Archbishop Sviatoslav Shevchuk, the head of the Ukrainian Greek Catholic Church. The meeting was attended by cardinal Kazimierz Nycz, Metropolitan of Warsaw, and Krzysztof Tomasik, author of the book. Archbishop Shevchuk is a great promotor of the Polish-Ukrainian reconciliation and a friend of Pope Francis. In the interview book he talks for the first time honestly about the past and present of the most numerous Catholic Eastern Church in the world and about the Polish-Ukrainian reconciliation. 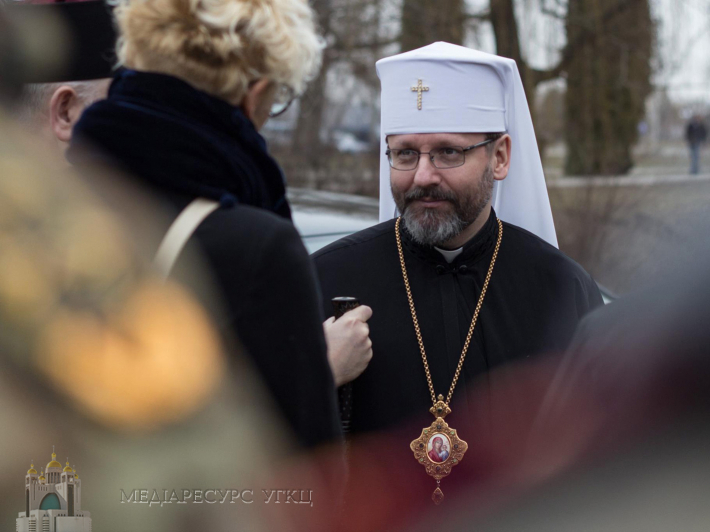 According to the Ukrainian hierarch, in Polish-Ukrainian relations there is no crisis in relations between the Churches and nations, but there is a crisis at the political level. “Ukrainians do not know Poles, their pains, aspirations, ambitions, as well as Poles do not know Ukrainians. That is why an exchange and a dialogue is essential. Only by dialoguing with others, we can understand how much we don’t know each other” – said the archbishop during the presentation of the book. In the book archbishop Shevczuk also talks about St. John Paul II who had a great contribution to the revival of the Ukrainian Greek Catholic Church and who was involved in the Polish-Ukrainian reconciliation. “Many sentences from the book were inspired by the figure of John Paul II. He was a master of dialogue who was destroying the walls of separation. He was a great apostle of reconciliation, he was a doctor. Inviting to dialogue, he treated the continent, which after World War II was so wounded” – said Archbishop Shevchuk. “That is why we want St. John Paul II to be the patron of Polish-Ukrainian reconciliation” – added the hierarch. In the introduction to the book, Cardinal Stanislaw Dziwisz wrote: “This Church, purified as gold in the melting pot of suffering, is a sign of hope for a free Ukraine, struggling with aggression, bleeding because of the war in the East, but persistently building its future among free and sovereign nations”.